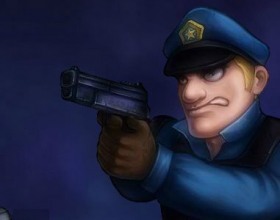 Play as an angry police officer and kill all zombies to protect your air purifier. They want to destroy it to let the virus spread around the world faster. Use your mouse to aim and attack. Use Arrows to move around. 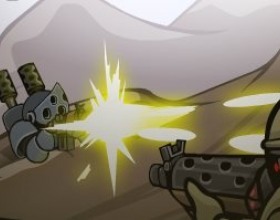 Switch weapons with Q and E.
Your task in this shooting defence game is to protect your base. Shoot everyone who is coming too close to your base. 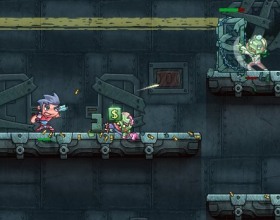 Place additional shooters and upgrade their abilities. Use your mouse to aim and fire. 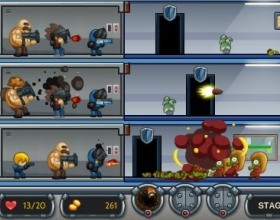 Control your little amoeba and kill other simple creatures. 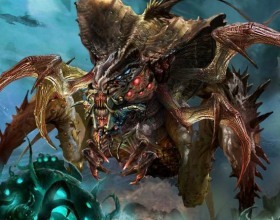 Evolve and turn into powerful creature and continue killing the others as you upgrade yourself with lots of weapons, lasers, armours, spikes, drills and many more. Use your mouse to control the game. This is just a simple tower defence game. 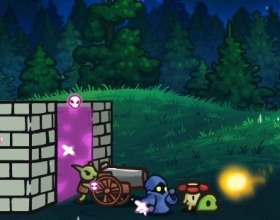 Your task is to place your wizards as towers to stop attacking monsters and protect your castle. Each wizard has it's own abilities so make sure that you use them correctly. Use Mouse to control the game. Another great game from Cursed Treasure series. As always you have to protect your gems from attacking enemies who want to steal them from you. Place various towers to kill those enemies and don't forget to upgrade them all the time as you earn money for each killed enemy. Your task in this game is to protect your blind girl. Earn gold and spend it on cool upgrades to make sure that your blind girl survives. 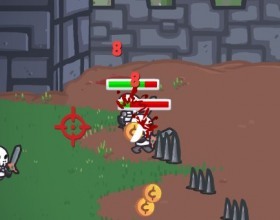 Ninja will attack enemies automatically. 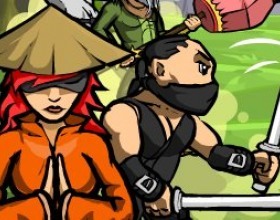 Use different spells of your blind girl to kill bunch of enemies when ninja is not around her. Your mission is to protect your castle from attacking enemies. 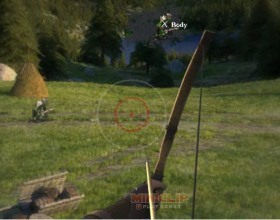 Use your bow with arrows to kill all attacking orcs and other monsters. 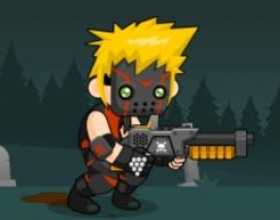 Upgrade your weapon constantly as you earn money by killing enemies. Use your mouse to aim and fire. 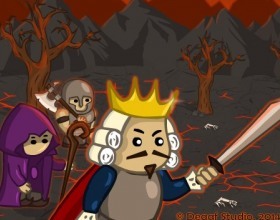 Take command over your army in this free online strategy game. Place your towers to create soldiers and send them into attack. Your aim is to destroy enemy's castle. It will not be so easy. Sometimes you'll need a really good strategy to beat your opponent. 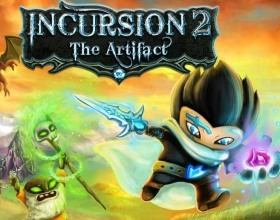 In this second part of Incursion your task is still the same - protect your property from attacking enemies. 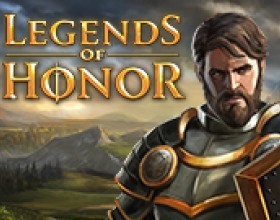 Click on the towers and train your soldiers, archers and many more. Do not let those creeps reach your base. 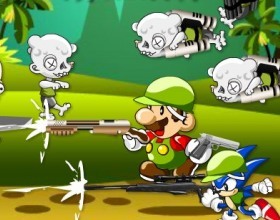 Super Mario and Super Sonic teamed up to stop attacking zombies. Protect your castle from annoying enemies. You'll start shooting only with Mario - Sonic you have to buy as an additional sniper when you'll have enough money. Use Mouse to aim and shoot. 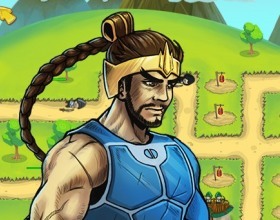 This is just another fantastic, well made, brand new tower defence game. As usually your task is to kill everyone who is trying to reach your base. Stop them by placing your towers. Earn money and use it to buy new towers or upgrade existing ones. 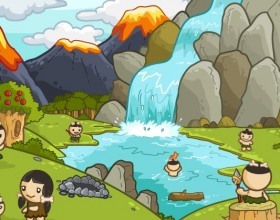 Another great defence game where you have to protect your castle and kill all attacking monsters using your weapons and many different defence tools, like spikes, bombs and many more. Upgrade your arsenal constantly. Use mouse to control the game. 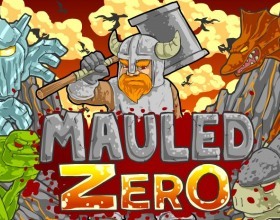 Your task in this massive multiplayer shooting game is to kill all enemies so they don't reach your territory. Select your weapon class and attack. Use Arrow keys or W A S D to move. Use your mouse to aim and fire. 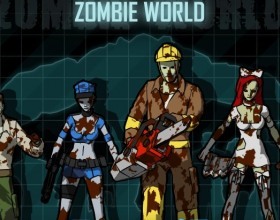 Take your shotgun, take on your mask and smash zombie brains. 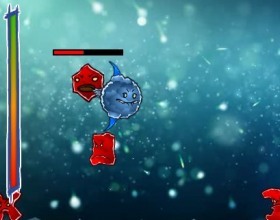 Survive as long as you can by killing these monsters that are falling from the sky. Use special powers for a massive smash series with chainsaws or bombs. Buy upgrades. Use Arrows to move. Press X to shoot. Defence games may be viewed as a separate subgenre of the strategies. 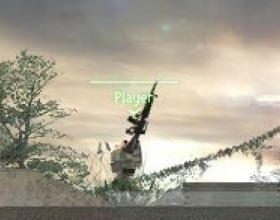 The goal of the game is obvious – to defend a tower from an enemy’s attack. While doing this a gamer can use different traps in order to make the enemy’s proceeding more complicated as well as shooting the enemy from his tower in case the latter comes close. Naturally, the gamer can choose whatever type of tower he wants to defend (i.e., its construction, architecture, etc.). 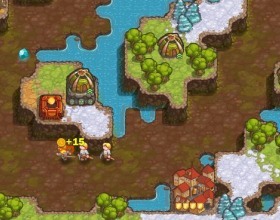 Also, the player is free to choose the number of enemy’s units and their routes. 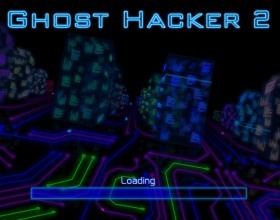 The route itself can be already given beforehand; or it can be planned by the player, that means the gamer is aware of which way the enemy is using. Besides, the gamer can choose the terrain where his tower will be located. 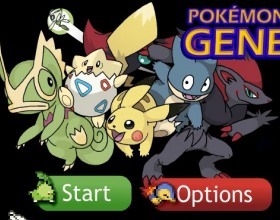 This option is actually one of the most important in the game and demands applying some at least basic tactics and planning skills. 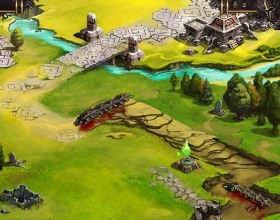 The location of towers often defines the routes and the location of the enemy’s paths, and vice versa. Some games combine both options. Obviously the gamer cannot move his own units which means they are static. The enemy’s units, on the contrary, are dynamic and can be moved and positioned in many ways. 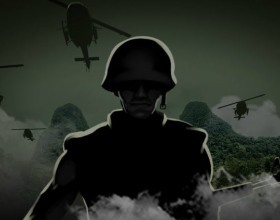 So the tower defence game involves some elements of military games as well as war gaming. The available attacking strategies vary greatly: from mazing and juggling to shooting. Mazing means creating a chain of towers on the enemy’s way so that the distance the latter has to cover becomes much longer. 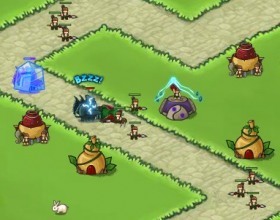 In different types of tower defence games the gamers have different control over the enemy’s units. It can be either total control or only partly control. Some games do not provide any control at all. Also, certain games may involve using air forces by both the player and the enemy. This option, surely, makes it harder to attack and defend. The types of enemies can also be chosen. 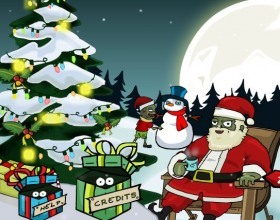 These include people, monsters, zombies, aliens, etc. If the enemy is defeated the player automatically gains points or any other kind of reward the game enables to gain. 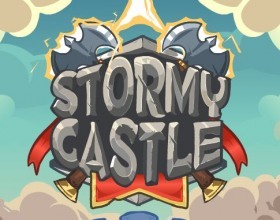 They are used either to improve and expand towers or can be added to the game’s total score. 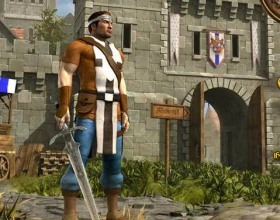 3D versions of the tower defence games are widely available. Also, they can be played in teams through the access to the intranets, extranets or the Internet regardless of the number of players involved.